These are definitely words to live by. Every time I give something whether it is time, money or food, I try to give freely because I know it will one day come back to me 100 fold. This time of year there are so many people in need and it is up to us to try and do our part. It is one of the things I like about Girl Scouts and why I signed my daughter up so early. Sporty Mommas Holiday Bazaar and Toy Drive is just hours away! 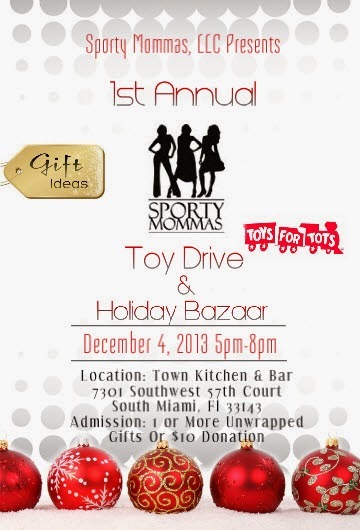 I am truly looking forward to hanging with other Sporty Mommas and collecting toys for tots. This is my way of doing my part to help put a smile on not just the recipients face but also all of the moms that are coming out to support this great cause. Hope to see you there! You can also make an online donation at http://www.eventbrite.com/org/4525881947?s=19799993 .